Remove searchpause.com - How to remove ? searchpause.com is the given name of a browser hijacker, in other words, a program whose goal is to place itself as search website instead of whatever you had previously chosen for your default homepage. A browser hijacker quietly installs itself in your system along with some free software you downloaded from the net. Actually there are several programs and websites like download.com that will get a money reward every time searchpause.com is installed into a user’s browser, that’s why its installation is done so discretely. searchpause.com is only legally installed if there is at least some sort of mention of it on the program that includes it as an additional feature; not complying to this will make them outlaws. searchpause.com was developed in such a way that you won’t be able to go back to your own settings. It can be helped by a Windows service or process that will put it back in place every time you restart your computer. Besides installing itself on your computer without ever asking for your approval, searchpause.com developers will also make money through you by inserting sponsored links among the the result pages of your searches. Both visits and searches done through searchpause.com will get them money. This website was also created to show fake alerts about several imaginary issues. Those alerts will include a link that takes you to an e-commerce website where you’ll be asked to buy a software that allegedly will fix the problem. This e-vendor is usually the same one that created searchpause.com taking advantage then of every user they have tricked. We have a clear example of this in the screenshot shown above where there’s a message implying that a Windows update is needed, when in truth that message will guide to user to buy a useless and hard to remove program: reimage. How to remove searchpause.com ? 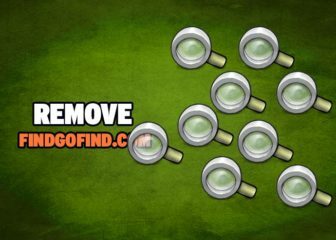 This page is a comprehensive guide, which will remove searchpause.com from your computer. Please perform all the steps in the correct order. 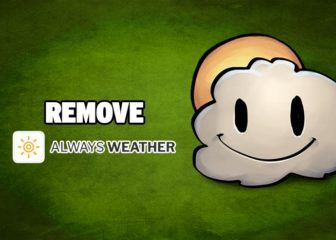 The AdwCleaner tool will examine your system and internet browser for searchpause.com, browser extensions and registry keys, that may have been installed on your system without your agreement. Malwarebytes Anti-Malware is an important security program for any computer user to have installed on their computer. It is light-weight, fast, and best of all, excellent at removing the latest infections like searchpause.com. Malwarebytes Anti-Malware will now start scanning your computer for searchpause.com. searchpause.com replaces all the shortcut’s from your favorite browser, Internet Explorer, Google Chrome or Mozilla Firefox with a extra argument behind the executable. 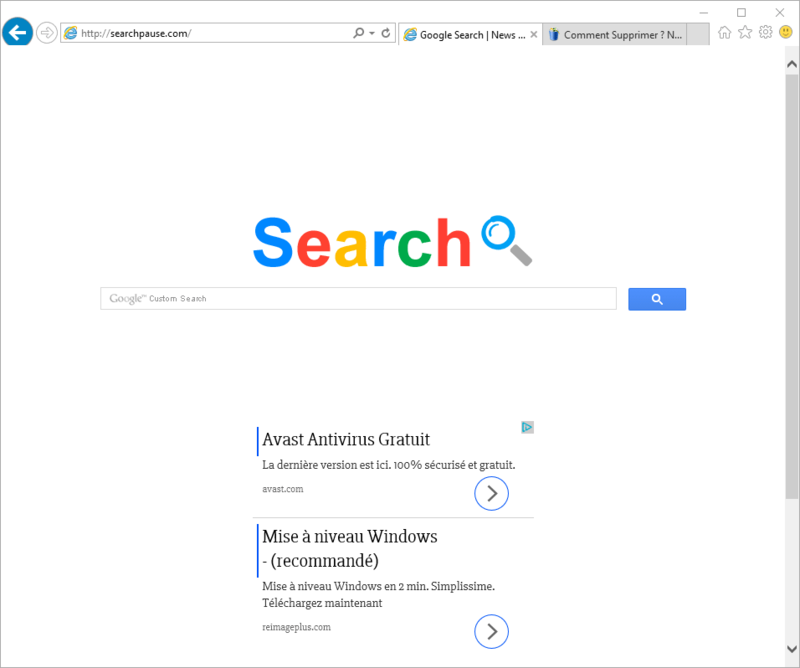 By doing this the searchpause.com is always your default homepage, you need to remove the extra argument in order to restore your favorite browser to default settings and to use it again as you want it. Please follow this easy instruction to clean your shortcuts. In the Shortcut tab, in the Target field, remove the searchpause.com argument. Basically, there should be only the path to browser executable file. Nothing more. These are the default shortcut path that should be in your Target box, if the searchpause.com argument is there, then you should remove it. Once the process is finished, click onOpen Chrome searchpause.com should now be deleted from Chrome. Once the process is finished, click onOpen Chrome searchpause.com should now be deleted from Firefox. Your computer should now be free of searchpause.com. 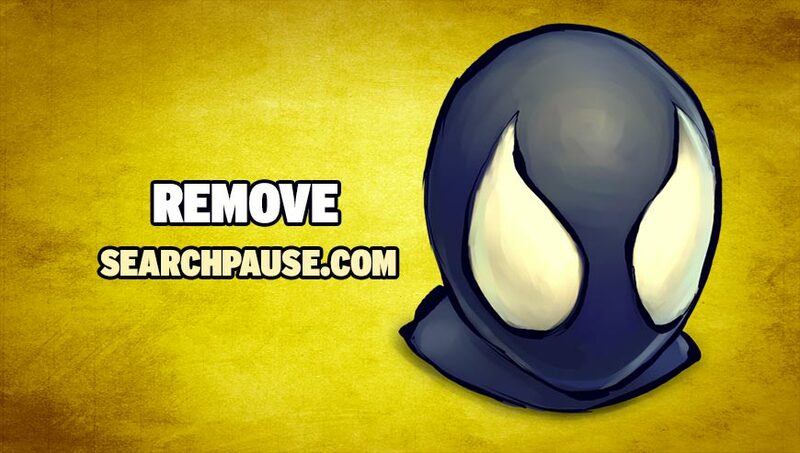 If you are still experiencing problems while trying to remove searchpause.com from your computer, please start a new thread in our support page. Someone will give you free assistance very fast !